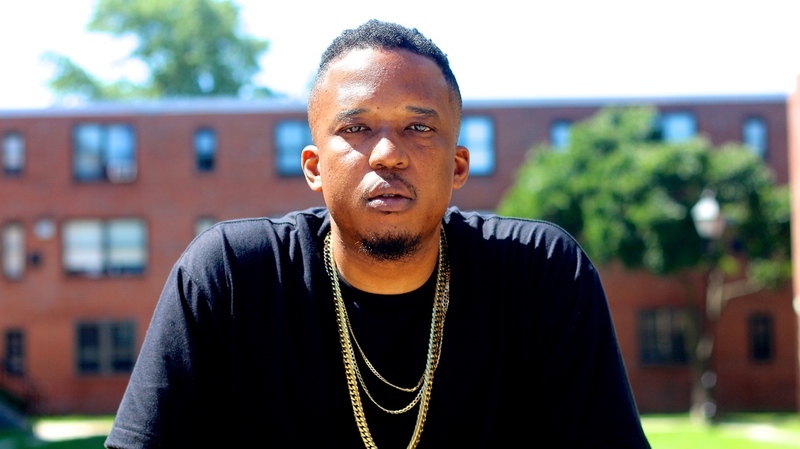 Baltimore Author Discusses 'Living (And Dying) While Black' : Code Switch Author D. Watkins says that crack destroyed his East Baltimore neighborhood, and he explains how the real day-to-day of selling drugs is nothing like the movies. His new book is The Beast Side. D. Watkins' work has appeared in The Baltimore Sun and Salon. He will start teaching English at Goucher College in the spring. Growing up during the crack era in East Baltimore, author D. Watkins saw firsthand how the drug destroyed communities. "It trashed my neighborhood," Watkins tells Fresh Air's Terry Gross. "I'm old enough to remember before crack really hit, and once it did hit, it changed a whole dynamic of how drug culture worked." Suddenly, Watkins says, teenage kids — himself included — were selling crack on street corners. But the drug wasn't leaving the neighborhood with each sale. "Everybody's parents were junkies," he says. "And all the kids were selling or using." Then there was the gun violence, which often sprang from disputes over control of particular street corners. Watkins escaped getting shot more than once. His older brother was shot to death during the period he was selling crack. Other friends died or were sent to prison. Finally, Watkins says, "I was the last guy left. ... I went from not really caring if I lived or died to caring — and I knew if I wanted to live, I had to stop." Watkins gave up dealing drugs, returned to college and now has three degrees, including a master of education from Johns Hopkins University and a master of fine arts in creative writing from the University of Baltimore. His work has appeared in The Baltimore Sun and Salon, and he has taught in literacy programs in Baltimore. 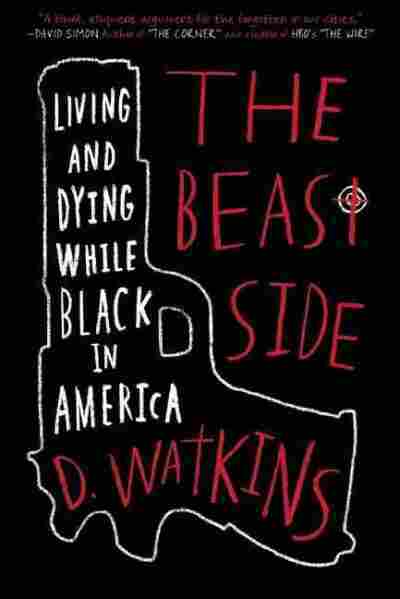 His new book is The Beast Side: Living (and Dying) While Black in America. The type of neighborhood where I lived in, Baltimore City, is very segregated, so my whole neighborhood was black. Everyone I played basketball [with] was black. If the people who used to go to church and all that, they were all black churches. The only white people you would actually come across is housing police or a teacher or something like that, but, for the most part, everybody else is a black person. For the most part, I was encouraged to not go to HBCU [a historically black college or university]; some of my teachers and some of the people who I knew who was helping me out through this whole process was saying that you should go to a PWI [predominantly white institution] because America doesn't look like [that]. ... I was taught that the world is diverse and you need to go to a place where you can interact with different types of people and things like that. It was a different world for me. ... I met a couple of people, but it didn't really work and I dropped out. I just felt more at home in the street and around street people, so that's [when] I decided to go ahead and live out what I felt like my destiny was. Most of the reasons revolve around my friends and the situations that they were in. They were being locked up, some of them indicted, some for nonviolent crimes, and they weren't getting like three years and all that, they were getting 20 years. ... If they wasn't going to jail, they was dying. It's just that whole idea of always being alone and knowing that selling drugs is not a team game. You don't link up with some childhood friends and build an empire; that's television and the movies. Selling drugs is one on one. You're always going to be alone because at the end of the day, the business, it trumps all of these relationships and it happens over and over again. I carried a gun as a teenager ... but I never ever, ever, ever, ever used it against another person — I might've flashed it a couple times to get myself out of a sticky situation, but guns [have] never been my thing. Some people are shooters and some people aren't. I'm not. I never faked that life. I never tried to pretend to be about that life. I was never into it, but when I was growing up in that crack era ... you needed it. My friends and I, we joke about this sometimes, but ... we were hard-pressed to find somebody who didn't have a father on drugs, a mother on drugs, both or at least a father and mother who were strung out for a while before getting themselves together. ... It was like a super-escape. It was an escape for the person that was putting into their body, and it was an escape for a person who was selling and making money off it. We don't talk about this, but we're still recovering from the crack epidemic now. I used to have these thoughts to myself about how this is what these people want. I'm not putting a gun to their head. I wasn't out there making them do it. Yeah, I saw those effects and they hit me in different ways, but I felt like we were all just part of this whole big piece of nothingness and I had to pick my role. I knew I wasn't going to be a person using it.